Jen Gilroy » What’s in a name? In the past month, I’ve been called Rebecca, Mary, Megan, and Jessica. At church last Sunday, another parishioner asked me where “Jennifer” was, mixing up English Rose and I. 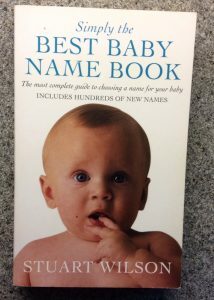 Together with a struggle to name a character in my work in progress, and a report in Britain’s Daily Mail newspaper that nearly a fifth of parents regret the name they gave their child, names and naming have been much on my mind. “Jennifer” is my middle name. My first name, the one I used for the first part of my life, is rare and Irish in origin. Most people struggle to pronounce it, and it’s sometimes misspelled by even my nearest and dearest. Although that name will always be part of my identity, I never felt like it fit. When I heard it at school or work, I had to remind myself to respond. Since Tech Guy has never called me by that name, moving to England was the perfect opportunity to use “Jennifer” instead. Nowadays, most people in my everyday life call me Jennifer, Jennie or Jen (or occasionally all three). Recent confusion notwithstanding, it’s a name that fits and I’m comfortable with. It’s my writing name too, although I became “Jen” in my author life primarily because of website domain availability. Perhaps because I’ve had a tangled history with names, I find naming fictional characters difficult. Unless a character pops into my head as a living, breathing entity, I’ll often go through four or five names before settling on the “right” one. I pore through baby name books. I search the internet for popular names in a particular place and time. I consider the character’s parents, family history and backstory. And I’m also a shameless eavesdropper. If they hadn’t still been in diapers, Cole, Zane, and Jackson, the toddler trio in my local post office this week, might have stepped out of a contemporary romance novel. Before I’d paid for my stamps, a story about three cowboy brothers had already taken shape in my mind, complete with horses, Stetsons, and faded Levi’s. Random flights of imagination aside, however, just when I think I’ve finally found the right character name, something—or someone—often intervenes. For an eleven-year-old girl in my work in progress, I’d settled on Melanie. It’s a name that’s feminine, yet strong, and with a cute derivation, Mel, perfect for a feisty and athletic sixth grader. So it’s back to the drawing board. Or, in this case, name books and online searches. I’ve had this problem before. 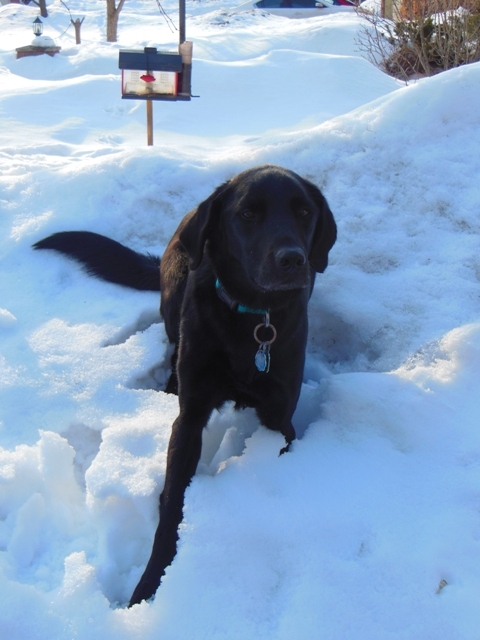 Several years ago, a writing contest judge took exception to a dog I’d called “Sam.” As (hopefully) the less contentious, “Shadow,” that dog, inspired by a beloved family pet, features in THE COTTAGE AT FIREFLY LAKE. For people, pets and even cars (I drive a little Hyundai Elantra English Rose has dubbed “Annabelle”), names mean a great deal indeed. There is so much in a name, isn’t there?! For our children, we spent many long hours choosing appropriate names. We didn’t want to choose anything that would be “cutesy” or overly trendy. Of course, our personal experiences and relationships also influenced our choices! At the end of the day, while we identify a person by their name, it is usually their character that defines who they truly are. Well said, Heidi. Character does define the person, and it also shapes impressions of a name. There are certain names I don’t warm to solely because I have previous, negative associations of a person with that name. I think it’s funny how children grow into their names, and you can’t imagine them being called anything else. But of course, there are people like you who like their second names better, and they grow into them too!! “Growing into a name” is an apt analogy, Jean. It’s possibly why some people use different derivations of a name at different times of life. Since you’ve only known me as “Jennifer” I hope you think it suits! Names are so important, aren’t they? You have to get exactly the right one for a character in a book and when you find the perfect one, you just know. My main character went through three other names before I finally found her perfect name. I”m glad I’m not alone, Susanna! It’s indeed a wonderful feeling, though, to find the character name that truly fits. Thanks for sharing your thoughts.